At its simplest, the Kaginawa 鈎 縄 is little more than a combination of a hook 鈎 (Kagi) and a rope 縄 (Nawa). 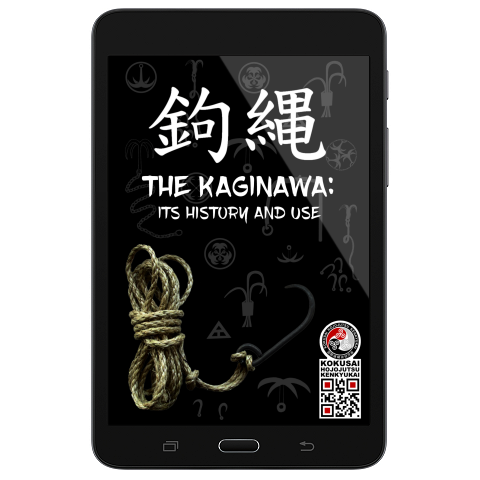 Some Kaginawa were designed as utilitarian maritime tools, others to aid in climbing and others still with the express purpose of snaring human flesh and clothing, ‘fishing’ as it were for a fleeing criminal or the enemies of ones lord. Within this publication, the aim is to provide an insight into some of these different designs and uses, offering an insight into the strategic use of the ‘Hook & Rope’ within Japans once feudal society. 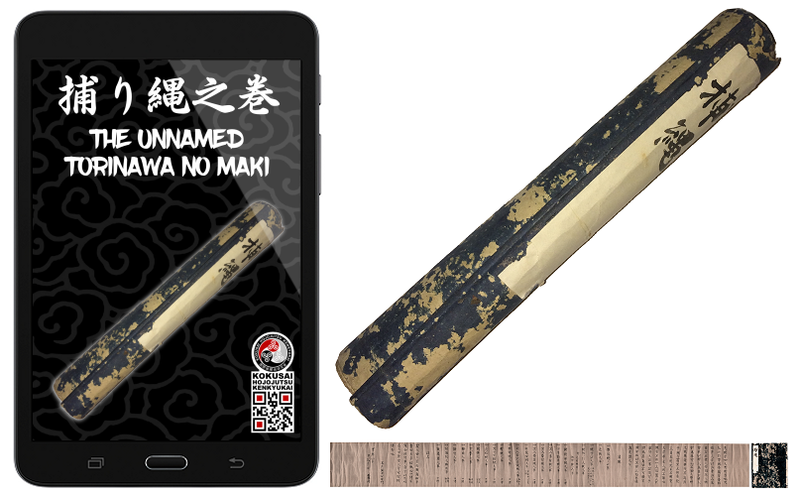 A high resolution scan of an original and unnamed "Torinawa no Maki 捕り縄之巻" Scroll, taken from the collection of the Kokusai Hojojutsu Kenkyukai. Eventually we hope to identify the exact origins of this scroll, but for now it remains a mystery. 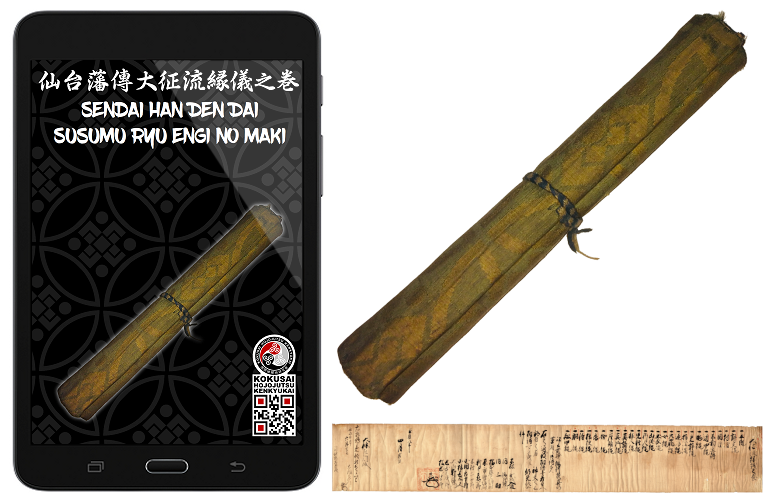 A high resolution scan of the original "Sendai Han Den Dai Susumu Ryu Engi no Maki 仙台藩傳大征流縁儀之巻" Scroll, taken from the collection of the Kokusai Hojojutsu Kenkyukai. 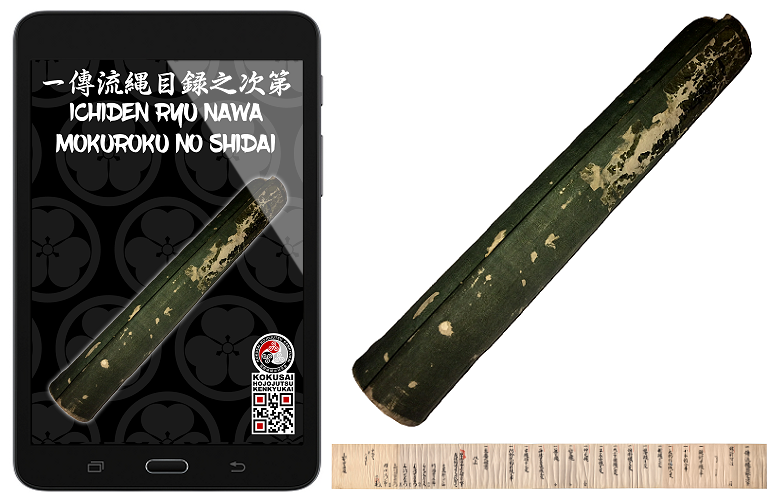 A high resolution scan of an original "Ichiden Ryu Nawa Mokuroku no Shidai 一傳流縄目録之次第" Scroll, taken from the collection of the Kokusai Hojojutsu Kenkyukai.